Barabba tells how decision engineering worked at GM. Barabba tells how decision engineering worked at GM. Vince Barabba is a market research and strategic planning guru. He knows a lot about listening to the Voice of the Customer and how big organizations make decisions. 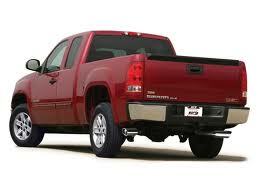 In the 199o’s he was the executive in charge of Corporate Strategy and Knowledge Development at General Motors. Vince is still at it. As we speak he is a member of a citizen board responsible for voter redistricting in California. This is a smart man with lots of solid experience. I worked with Vince when he was at General Motors. He was there from 1985 to about 2001. I was there from 1989 to 1997. Vince was my client and my mentor. I was leading a team of consultants from Strategic Decisions Group (SDG) at the time. My team went wherever Vince asked us to go. We were at the eye of the hurricane. It was a fantastic opportunity to learn. Vince’s team was teaching an elephant how to dance. When Vince was hired he was given the challenge of making market research relevant. In order to meet this challenge Vince had to get involved in the big decisions. He had to know how they were being made so he could focus market research on the right questions. This was tough because GM did not have a process for making decisions. Once Vince realized there was no process then he introduced one. (Vince would say he helped GM “reinvent one.”) He called it the Dialog Decision Process. The process was fed to the organization deliberately. The first pilot projects were successful and the process was rapidly pulled into the corporation. Within about 5 years it was used for almost all major decisions in North America and globally – R&D planning, portfolio planning, product planning, new business, manufacturing process choice, environmental compliance, branding, sales and market strategy, etc. Repeated use of the process provided a focus for organizational learning and for training decision coaches. The Dialogue Decision Process enabled decision making teams to integrate the Voice of the Customer; the Voice of Design; the Voice of Engineering; and many other voices, including finance. For each new strategic decision a team of decision makers, stakeholders, and experts was formed. One to three decision coaches would be assigned to support them. The teams would identify the compelling strategies and the uncertainties that made choices difficult. Market research was done in parallel with cost estimating and model building. This reduced overall decision time. As a result decisions were usually made rapidly. And they were made with sound information about the customer and the market. 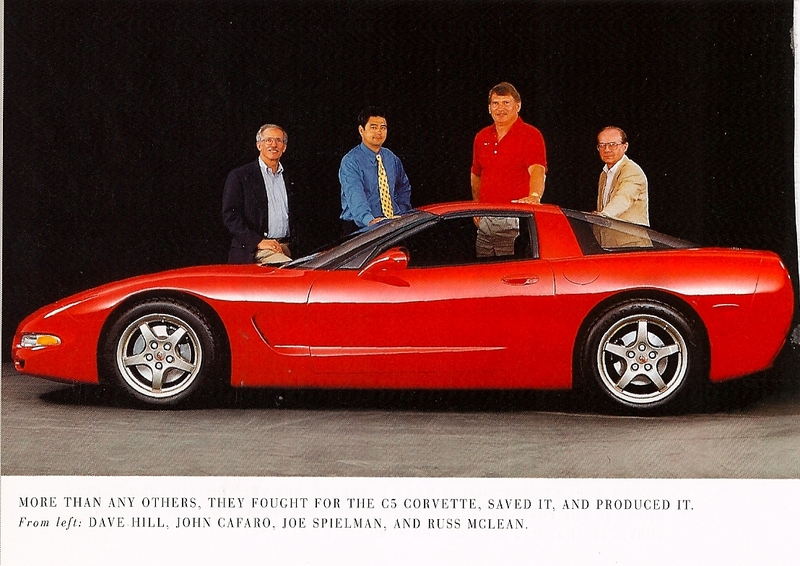 The Strategy Center that Vince created had a major role in producing some great cars and trucks, e.g., the C5 Corvette, the new Cadillac line, and the 1998 Silverado pick-up. In addition, the group was pivotal in some big innovations, namely, On-Star and the China strategy. Vince and his team did things that set the stage for the “new GM.” They brought big ideas into the top levels of the organization — ideas like process, strategic design, and collaboration. Mentors are measured by the quality of their students. Vince has had many protégés. Many are still at GM. People like Steve Carlisle, Vice President for Global Product Planning; Nick Pudar, Vice President for Product Planning at On-Star; and Greg Ross, Global Director, Infotainment Strategy and Alliances. Vince is a role model for the reflective behavior so vital for learning. 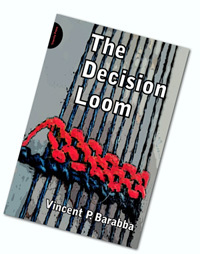 In his new book, The Decision Loom, Vince gives the reader a sense of how he arrived at his world view. 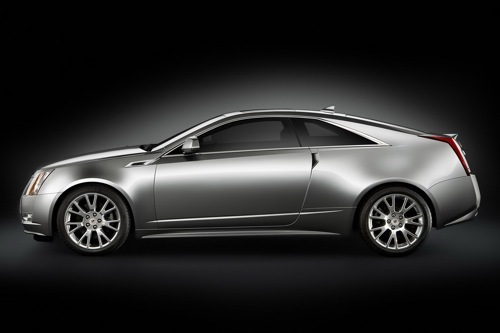 He explains many of the concepts he applied at GM and the lessons he learned there. Thank you, Vince. Decision coaches everywhere are grateful to you for sharing your vision and wisdom. We should all live such an interesting life.